The Diamento™ transforms into an exceptionally versatile outdoor kitchen with Diamento™ Side Solutions. 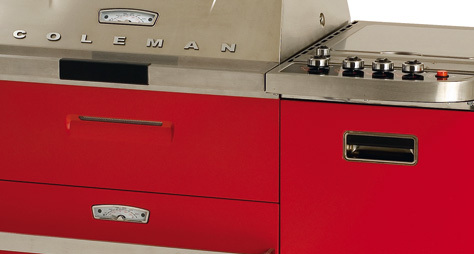 These clever cooking solutions simply mount on the side of the barbecue to add a fryer, side burner, griddle, cutting board or multi drawer. There is also a full range of stylish accessories, as you would expect.